Recurrent miscarriages are known to have happened when someone has experienced two or more miscarriages in a row. Around 1 in 100 women face recurrent miscarriage. It often leads to couple losing hopes and they wonder as to why is it happening. Since there are chances of achieving a successful pregnancy next time, the couple should consult the best IVF doctor in India so that the root cause can be identified and treated as early as possible. Gaudium IVF, the best IVF centre in India has compiled a few tips here for you, that will help you achieve a healthy and nourished body for an uneventful pregnancy and also to reduce your chances of recurrent miscarriages. Fertility cleansing is the very first step while preparing your body for conception. This is basically a body detox in which your liver helps in cleaning your body from the existing toxins and excessive hormones and thus helps in increasing the uterine circulation. The most important factors to prevent miscarriages is to reduce your stress levels and to take ample amount of rest. Stress is known to be a fertility killer, it creates a lot of hinderance in your fertility and overall well being. If you want your chances of facing a miscarriage to decline, you need to lower down your stress levels, relax and take lots of rest. In order to hold and carry an uneventful pregnancy, your body needs the right amount of nutrition. A well balanced, nutritious and a diet rich in fertility boosting superfoods will help you attain a baby-friendly body. Since, what you eat, effects your hormones, your eggs, your reproductive system and your chances of miscarriage, you must be very careful before putting anything in your body. To ensure a healthy pregnancy, its best to start for fertility diet at least 90 days prior to conception. If you are facing recurrent miscarriages then you must consult the best IVF doctor in India right away. 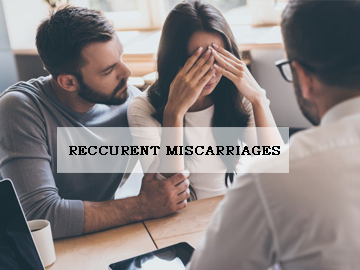 There are a lot of factors like stress, poor dietary habits, weak uterine muscles or unbalanced hormones that are responsible for causing recurrent miscarriages. Only an experienced IVF specialist can guide on how to nourish and strengthen your body to avoid the miscarriages. To achieve a healthy pregnancy, it is essential to include basic supplements like vitamins, minerals and essential fatty acids. There are such supplements that are specifically formulated for ovulation and hormonal balance. You must include a multivitamin containing vitamin B6, B12 and folic acid to boost your fertility levels and to carry out a healthy pregnancy. For preventing miscarriages, it is very important to include essential fatty acids like omega-3 which will help in maintaining hormonal balance. There are a lot of reasons for someone facing recurrent miscarriages, but one should not lose hope. The correct approach is to seek an expert doctor’s help, get all your relevant tests done and follow their advice for your infertility treatment in Delhi. 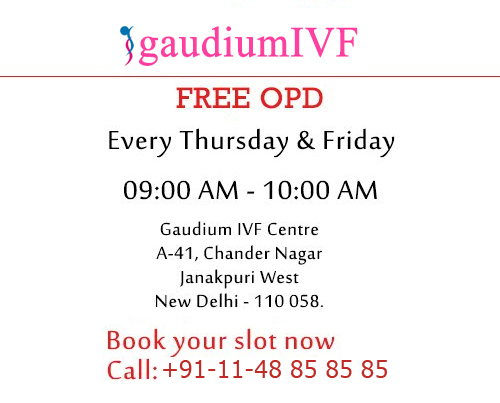 Gaudium IVF is the best IVF clinic for advanced infertility treatments at affordable prices. For an expert advice from the renowned IVF specialist Dr. Manika Khanna, book an appointment today.